Around the world, nations and autonomous regions are looking inwards. A rising tide of self-determination and federal independence is sweeping the globe as recognised nations everywhere look to preserve their integrity. In Iraqi Kurdistan, a referendum was held on September 25th that resulted in an overwhelming majority voting to be part of an independent nation. The Iraq government in Baghdad. denounced it as “illegitimate”. Over the last few weeks negotiations between the semi-autonomous Kurdistan region and Baghdad have failed. Each side is disputing the city of Kirkuk and the surrounding oil-rich territories. These were captured from ISIS by the Kurdish Peshmerga in 2014. Iraqi troops moved against Kirkuk earlier this week and swiftly took the city with very little fighting. The multicultural inhabitants have been reportedly split. Some districts joyously wave Iraqi flags while others display Kurdish ones. 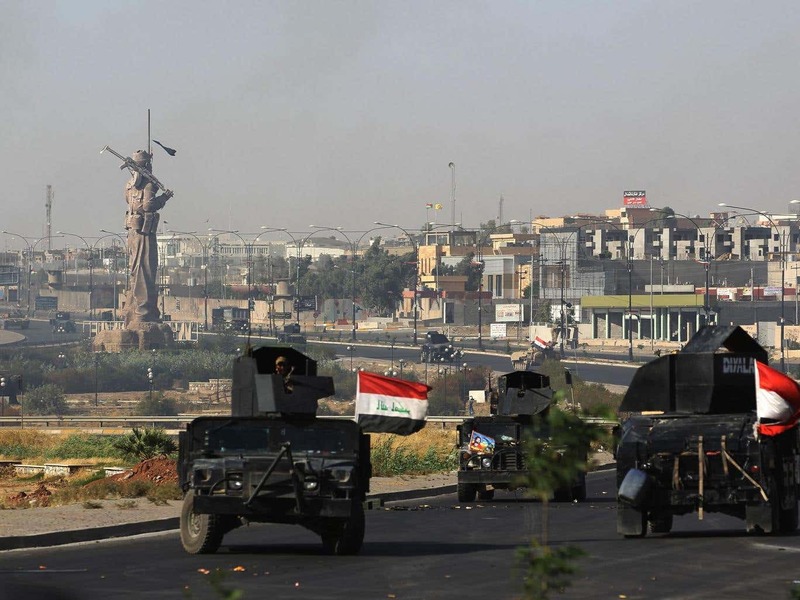 Many have fled Kirkuk in fear of violence or repercussions. Throughout Kurdistan there is resentment against Baghdad for moving forcefully, and disappointment at the Kurdistan regional government for issuing little response. There are many fears that this could escalate into a conflict between Kurdistan and Iraq. Violence could even spill into neighbouring Turkey which has a large Kurdish population of its own. Turkey had previously condemned the referendum. They are likely to back Iraq on this matter in an attempt to preserve their own northern territories, which could come under threat if a new Kurdistan nation is formed. Iraq also has the support of Iran. It is confirmed that Iranian Commander Qasem Soleimani was present and possibly instrumented the attack. The US have so far not retaliated or uttered support for either side. This comes as a mirror situation unfolds in Catalonia following their referendum on October 1st. Police violence resulted in over 900 people injured, as Spain tried to shut down the “illegal” vote. Nonetheless, over 90% of the votes cast were pro-independence. The Catalan regional government has so far not declared for or against independence as negotiations continue. However, On Saturday 21st October Spain is set to invoke Article 155 of their constitution. This would effectively undermine the region’s autonomy and transfer power directly from the Catalan government to Madrid. It is a move that could possibly lead to Catalonia formally declaring independence, provoking a response from Spain as it seeks to preserve it’s constitutional unity. The EU has confirmed that this is a national issue for Spain. Whether this remains the case in the coming weeks is yet to be seen. In addition, referendums have been requested in Italy, where Lombardy and Veneto are expected to request additional devolved powers. These votes are scheduled for October 22nd. Modern writer and active journalism student. Experienced in newsletters, fashion and LGBT+.